Novak Djokovic is edging favouritism for the Australian Open, which starts early on Monday morning, after the draw was made for the first Grand Slam of the year. 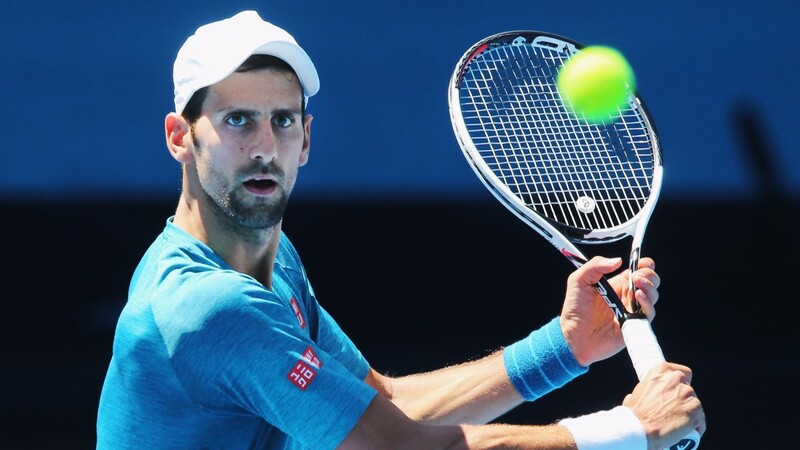 World number two Djokovic is chasing a record seventh singles crown at Melbourne Park while Murray, who eclipsed his rival at the top of the rankings last year, is a five-time runner-up down under. Murray will open with a first-round clash against Illya Marchenko, while Djokovic has a tougher opener on paper against experienced Fernando Verdasco, who has started the season well. In the women's singles in Melbourne, six-time champion Serena Williams has been handed a tough opener against Belinda Bencic, who defeated the American in their latest meeting. Defending champion Angelique Kerber, who also captured the US Open in September, will make her bow as a Grand Slam top seed against Lesia Tsurenko. Birmingham battler Dan Evans has made it through to the Sydney International final, which live on Eurosport 1 at 8.30am on Saturday, and bids to make it a singles clean sweep for Britain in the wake of Johanna Konta's title triumph in New South Wales. Evans, who was a top-priced 66-1 outright, will meet seasoned Luxemburger Gilles Muller in the trophy match, a day after Konta thrashed world number three Agnieszka Radwanska 6-4 6-2 to claim her second WTA Tour crown. The women's Hobart International final, in which Monica Niculescu is favourite to beat qualifer Elise Mertens, is being shown live on BT Sport 3 from 3.30am on Saturday.